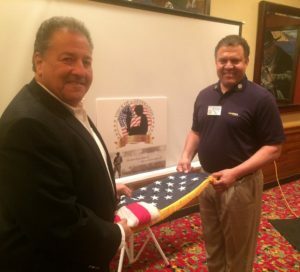 Charles Cottitta, President of Voice of a Generation supplied the American Flag from VFW Post Parkville, MO. Stacey Butts ’82 assisted folding. RADM Penfield talks to USNA Alumni about Navy leadership in the fleet. 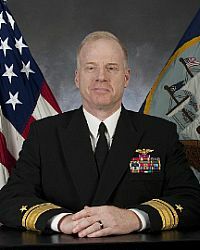 Speaker is recently retired RADM Jeffrey R. Penfield, USN, now Sr. Director Honeywell FM&T, Kansas City, MO. Admiral Penfield is a highly decorated F/A-18 E/F Super Hornet pilot who held numerous operational and support commands in his 34 year Navy career. He is a native of Wichita, KS. 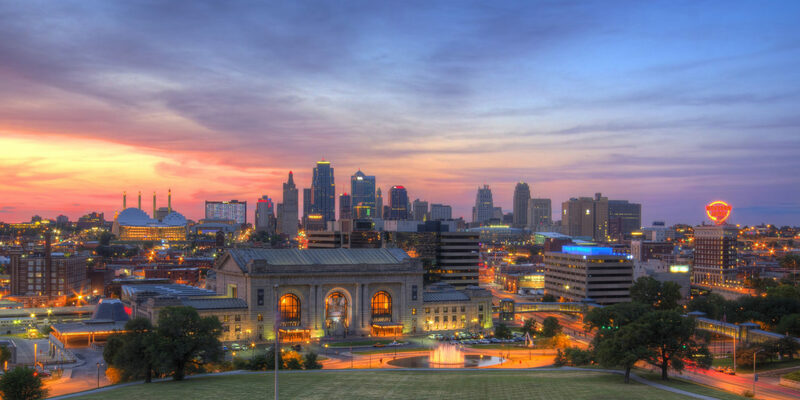 Parents of Midshipmen and Cadets, West Point Association of Graduates (WPAOG) and the Kansas City Air Force Academy Association of Graduates (KCAOG) are invited. This event was well attended with over 25 alumni and guests attending. Admiral Penfield’s message was all Navy leadership is local and it is more important today than ever, in a higher op tempo Navy, with multiple and diverse worldwide threats. His message was well received. The invocation was given by Monsignor Stu Swetland, ’81 Catholic priest, Rhodes Scholar, Catholic radio commentator, and president of Donnelly College in Kansas City, KS. Three USMA and one USAFA alumni also attended.